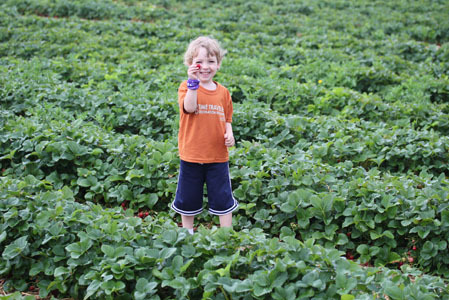 This past weekend, we went on a little berry hunt. That turned out to be a big berry hunt. 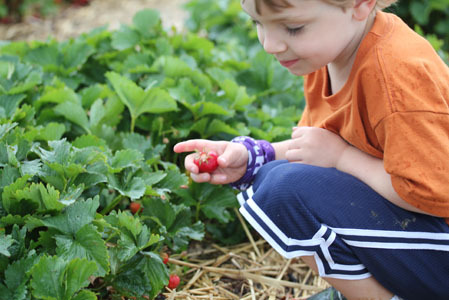 I remember from years past that the last 2 weekends in June are the best for picking berries in our area. 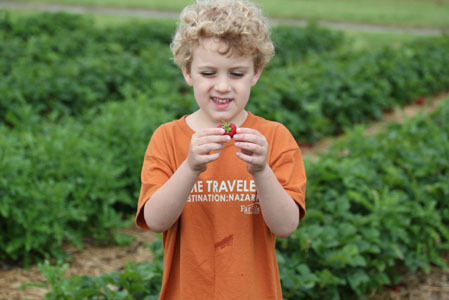 We headed down to Stokes Berry Farm, about 25 minutes from us. We had snacks and a book to read aloud in the car…it was set to be the perfect morning. Except we arrived on the farm, grabbed our berry holders and looked to the West. Uh-oh. Black raspberries were available for picking (yeah!!! I was hoping they’d be ready so I could make jam!) and we hit that patch first. So we piled in the van. Had some snacks. Read some Junie B. Jones. 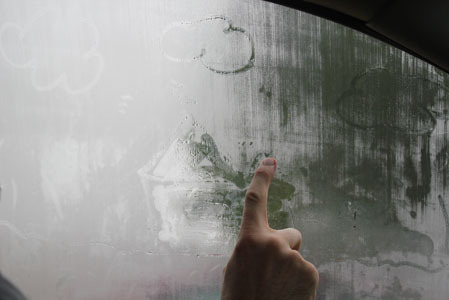 Drew on the car windows. 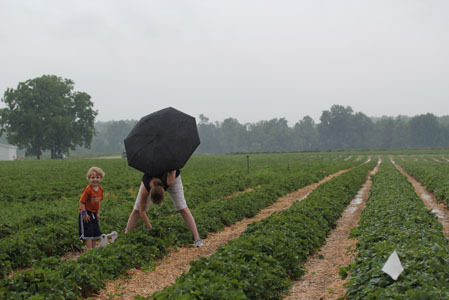 Then, when it was just drizzling, I decided to make a break for it and just pick a couple pounds. It didn’t look like the drizzle/light rain would let up anytime soon, so I went out with the umbrella…hoping for just a few pounds. We didn’t come all this way for nothing…or just 2 lbs of black raspberries. From the smiley look on Charlie’s face, you can tell that it wasn’t raining much by this point. And soon after I was able to put the umbrella down. And get to some serious picking! 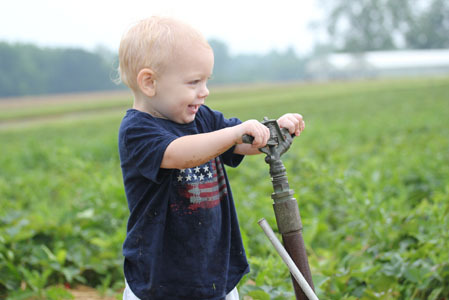 …and finding random sprinklers to try to pull out of the ground! 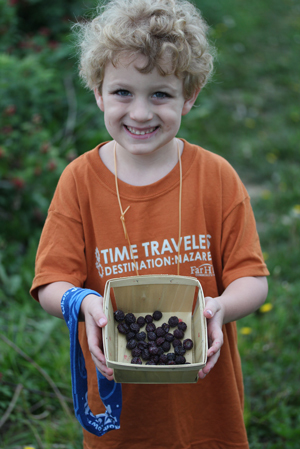 The boys loved picking and gathering these berries! A great family activity! And can I just tell you that I was stoked to see some big mama weeds (bottom of the above photo) around the patch too. That tells me that they aren’t using crazy chemicals on their strawberries. I had NO clue that I was so intent on finding the best berries until I saw this picture that Steve took. I wouldn’t want to mess with me if I came upon myself in a strawberry patch!!! 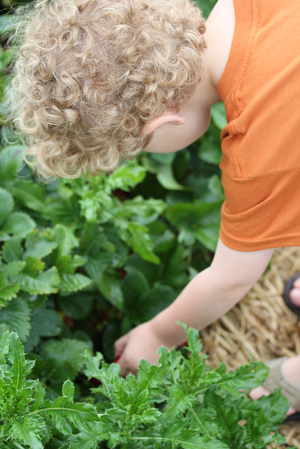 If only I could capture the smell…or perfectly ripe strawberries growing in a patch. It smelled like jam, really. In the end…almost 17 lbs of strawberries. 2 lbs of blackberries. I used $20 from grocery budget and $20 from my “blow money” to pay for these berries! $40 for 17 pounds of strawberries!!! WOw that is awesome! 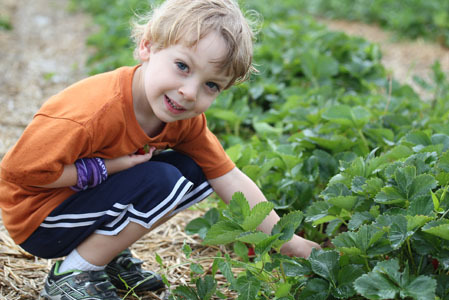 We are going berry picking this weekend and I cannot wait. I look forward to your jam recipes and tips. This will be my first year canning…yikes! I am a little nervous but excited. Strawberry season is one of my most favorite times of year. I’m always very sad to see it come to an end. When I went about 2 weeks ago, it was terribly hot and my kids bailed after about 15 minutes. I opened all of the van doors and they sat with their legs dangling out the back door. We went on Sunday to Stokes too, picked about 10 pounds of berries and came home and made jam. Going back again this weekend to get the blackraspberries too. No pick your own strawberry farms in my area, but we do pick our own black-eyed, purple hull, and cream peas every year. AND I think it is safe to say that I get as intense as you do looking for the best ones. We did the same thing about a couple weeks ago. 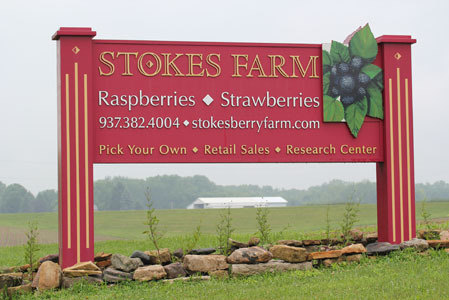 I called Stokes but they DO spray their berries and I wanted to stay away from that. 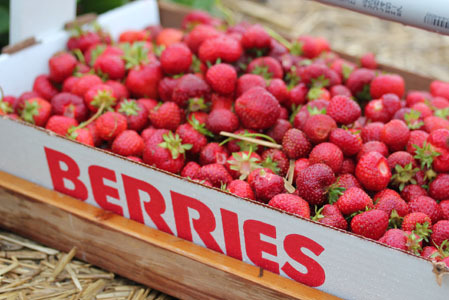 If you come a little further south (20 or so minutes) to Barrett’s Strawberry Farm in Leesburg, Ohio they only charge 1.25 lb. 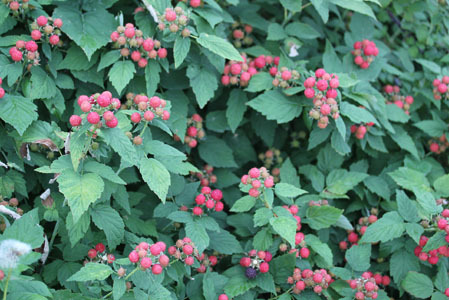 for their berries and they do not spray! 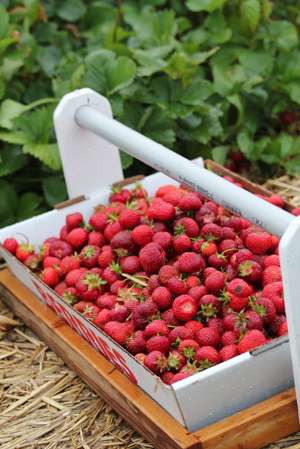 The only drawback is their season is a little earlier and shorter because of the lack of pesticides! We paid $35 for 28 pounds of berries! YUMMY! Enjoy all that jam! that looks like so much fun. 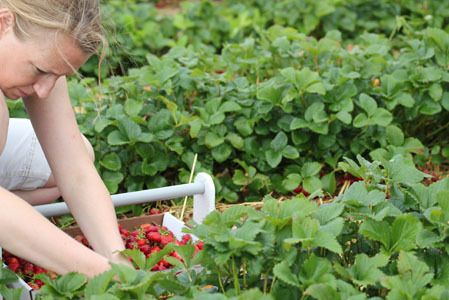 ive always wanted to go berry picking. most up to appointment entropy to the Indian public. t hold high-pitched rakehell pressing. Jordan did a truly antic job assisting us mesothelioma, a character of cancer of the lung pleural membranes.